So here’s a “Game of Thrones” theory that shouldn’t be taken seriously. But this one was too fun to ignore. 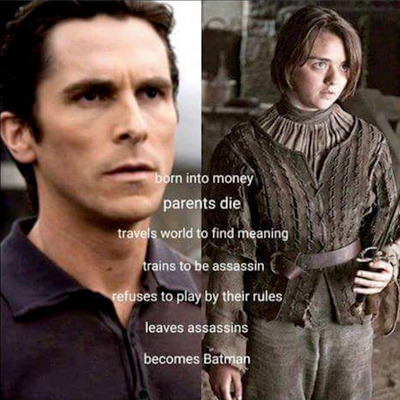 “Game of Thrones” fans are taking to Reddit to point out that Arya Stark (Maisie Williams) shares a lot in common with Bruce Wayne, who you probably know better as Batman. Comment from discussion Arya equals Bruce Wayne. 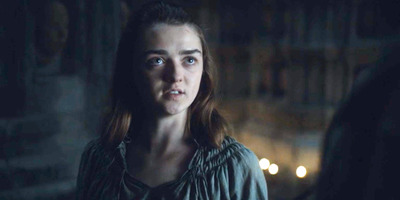 After this week’s episode, Arya’s fate is up in the air, as she left the Faceless Men to return to Winterfell. She is stronger and a better fighter than ever before. While she is not going to become Batman, one thing is for sure: this story line is way more satisfying for “Batman” fans than “Batman v Superman” was.